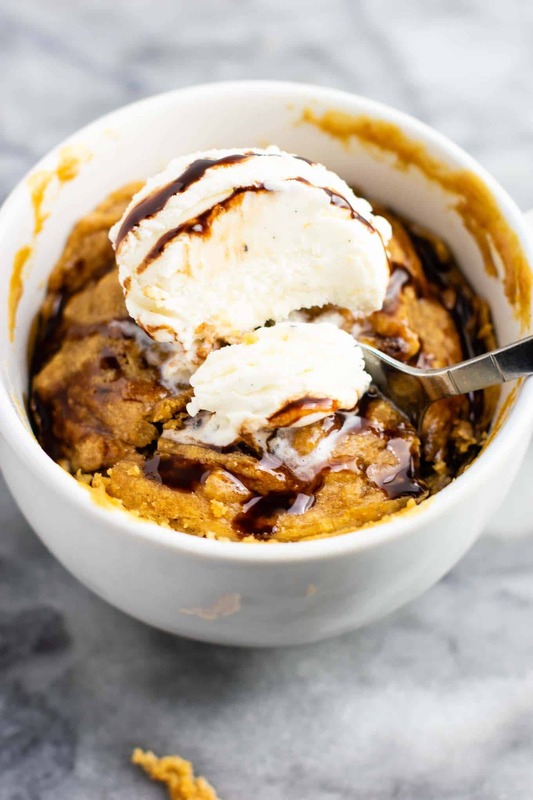 This peanut butter cookie mug cake is all things delicious. While I wouldn’t stretch and call this healthy, it is gluten free, dairy free, and refined sugar free. In my book that makes for a much healthier indulgence than something packed full of super processed ingredients with excessive sugar. After the huge hit that was my Gluten Free Chocolate Mug Cake, I wanted to play around some and create more mug cakes! 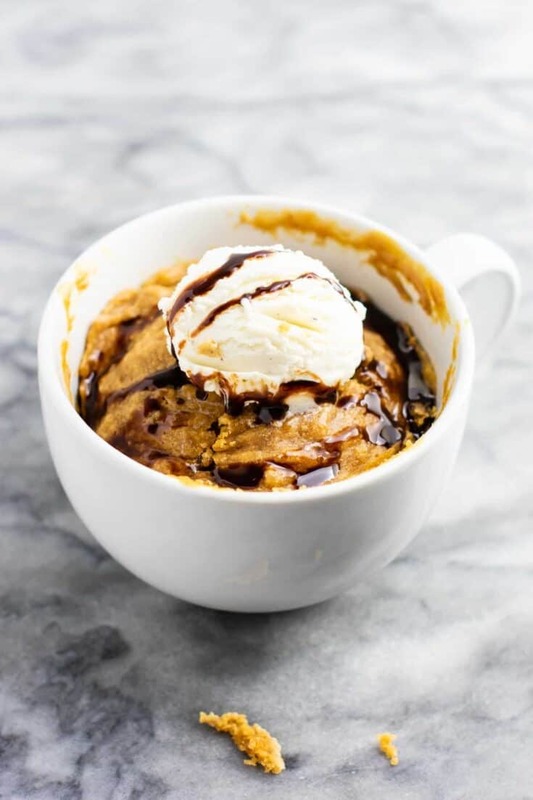 Mug cakes are so fun to make and only take around 5 minutes. First, melt peanut butter in a large microwave safe mug for 30 seconds. This will make it easier to mix with the other ingredients. Add the applesauce, maple syrup, oat flour, coconut flour, rolled oats, baking powder, egg, vanilla, salt, and almond milk to the mug. Stir well with a fork until totally combined. Microwave for 2 – 4 minutes, in 30 second increments, until the top is no longer squishy. The cook time will vary based on the size of your mug, as this is one big peanut butter cookie cake! It’s so big in fact that I always split it with my husband and it is still a generous portion. This recipe is made using healthier ingredients, but it’s definitely an indulgence. I love serving mine drizzled with chocolate sauce and topped with a scoop of ice cream. If you want to keep it dairy free, simply use your favorite dairy free chocolate sauce and ice cream! I love dessert, so if I’m going to treat myself, I use healthier substitutions. This dessert is so rich and decadent and worth every single bite. 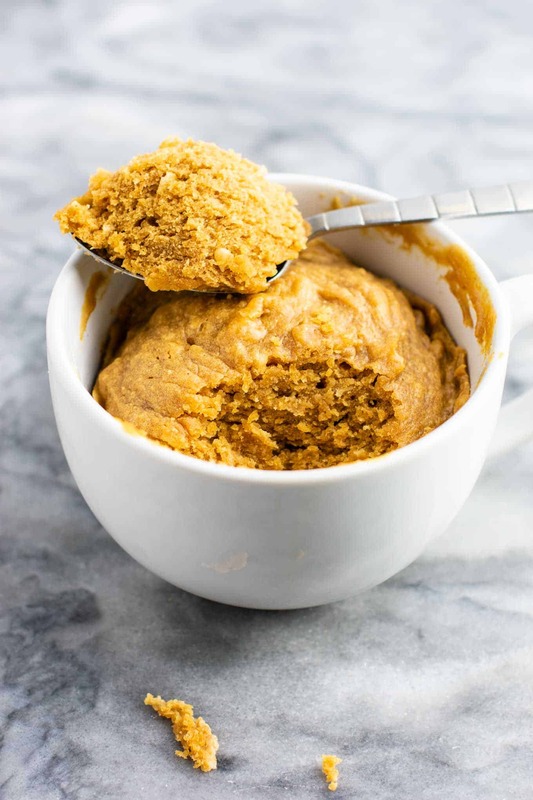 All you need is less than 10 minutes to have a homemade peanut butter cookie in a mug! It took me 3 tries to get this recipe just right. The first time it was a bit too dry, but the flavor was still awesome and we ate it with ice cream. The second time it was not quite cake-y enough. The third time I finally got it right! This cake tastes like a rich peanut butter cookie. So trust me when I say this recipe is well tested to perfection. I have made it many times since then and it comes out delicious every time! Not only is it delicious, but it’s also gluten free, dairy free, and refined sugar free! The last time we ate this, I drizzled some dairy free chocolate syrup on top and enjoyed it with almond milk vanilla ice cream. It was insanely good, like eating a healthy reese’s cake almost. If you love peanut butter cookies, you’ve got to try this one! Hungry for more? Here are our favorite mug cake recipes! Are you making this recipe? I want to see! Be sure to tag me on instagram @buildyourbite and hashtag #buildyourbite with your recipe pictures! Microwave for 2 - 4 minutes, until the top is no longer doughy. I wouldn’t exactly advertise this recipe as healthy! 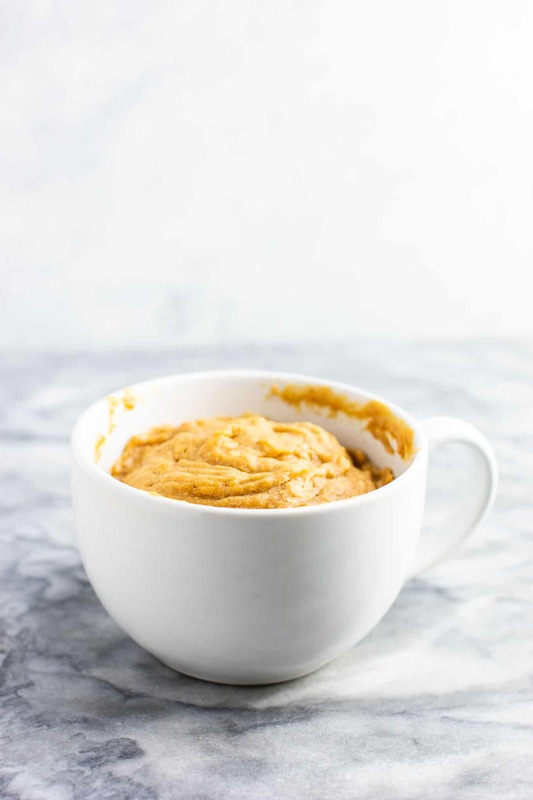 It is gluten-free, refined sugar free and dairy free which is great but you’re consuming over 800 calories in this single serving recipe which is not healthy. I didn’t say that this was healthy, however I would classify it as a healthier alternative to dessert. It has no junk in it at all. The peanutbutter I used has only two ingredients: peanuts and salt. 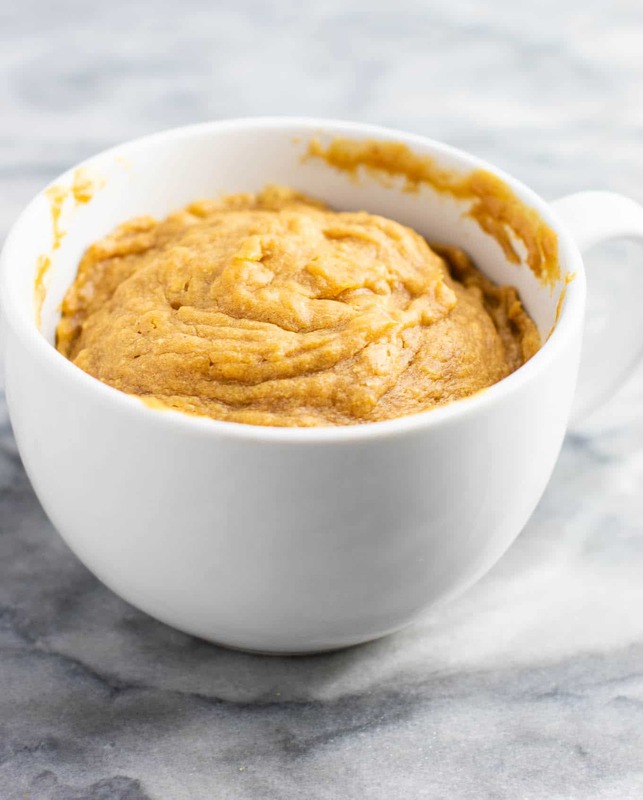 I use normal peanutbutter for healthy fats in recipes. This is a large serving that I share with my husband. Many desserts are high calorie, and so are many cakes. This is what I like to enjoy for an indulgent treat that doesn’t leave me feeling sluggish from sugar. I believe that everything in moderation can be healthy, and if you’re going to enjoy a cake for dessert, than it should be made using healthier ingredients! Where on earth did you get “800 calories” from? 1/2 a cup of peanut butter contains about 800 calories. Plus calories from the flours and maple syrup. Oh my god are you stupid? CALORIES ARE NOT UNHEALTHY. Some people actually needs 3000+ calories a day, it’s called working out and needing food. 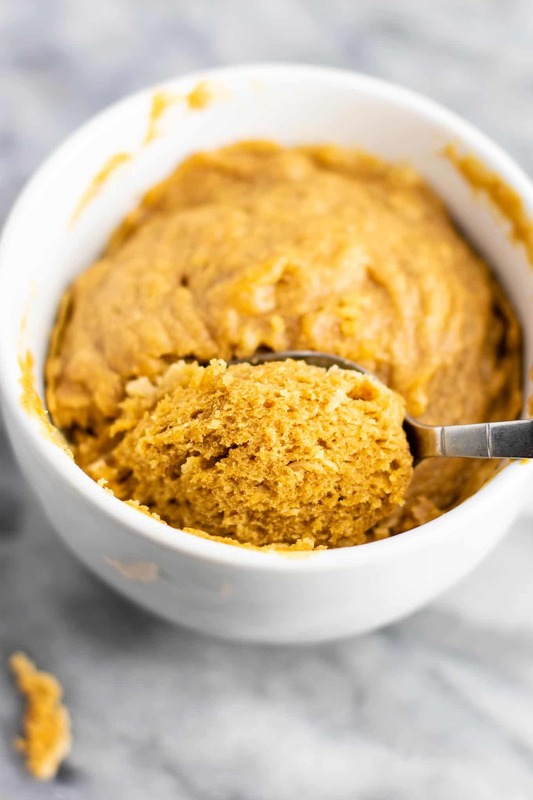 Unsalted peanut butter is super healthy, and so is the rest of the ingrediens here. This recipe IS healthy, but if you’re losing weight this is not for you. It doesn’t make it any less healthy. Well I think what makes this dessert AWESOME is that it doesn’t have any empty calories! Sweet, indulgent but still nourishing with all the benefits of healthy fats and whole grains. I will be giving it a try soon for sure! any applesauce substitute? would butter do? Olive oil or melted butter should work! I JUST MADE THIS and it is so delicious! I’m new to eating GF and this saved me from making a bad snack decision as well as deeply satisfied my craving for something sweet and cakey. Thank you for such a lovely recipe! 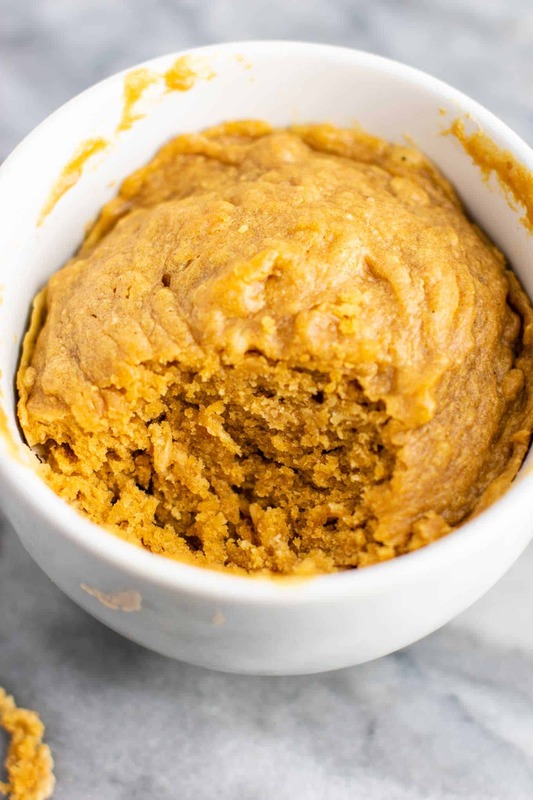 I didn’t have applesauce or oat flour onhand but I subbed pumpkin for the applesauce and almond flour for the oat flour, still delectable! To counter the first comment, there are more refined products that are marketed as healthy, but homemade options are a far better choice. It’s about content and nutrition in moderation, not just calories. This made a huge impact on my dessert options! Bravo! I’m so glad you loved it! Thanks for letting me know! I would like to try this recipe because it is dairy free, however I do not need it to be GF. 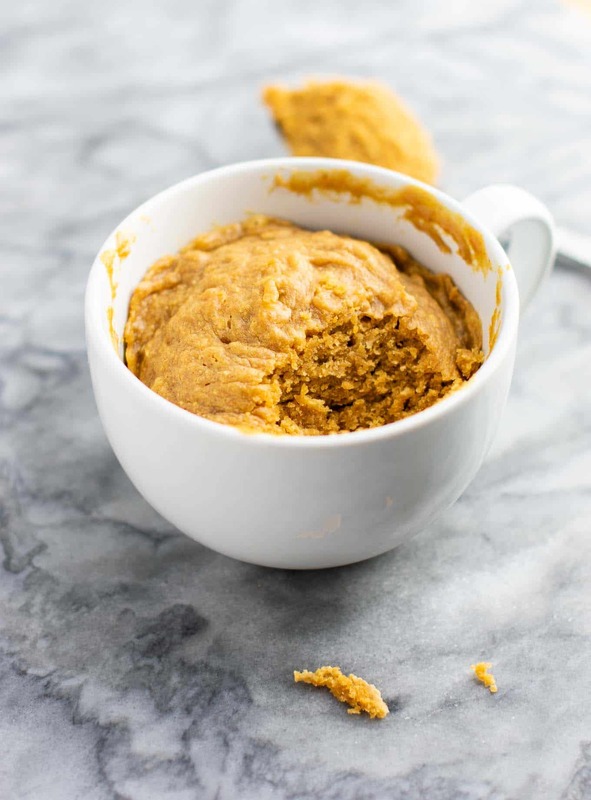 Could I use regular all purpose flour in place of the gluten free oat flour and coconut flour? I have used 2 tablespoons of whole wheat flour in replacement before, so I would think all purpose would work also. Sometimes the ratio of whole wheat to all purpose can be tricky, so if you don’t use whole wheat flour, I would try maybe 1 1/2 tablespoons of all purpose. Let me know how it works for you!